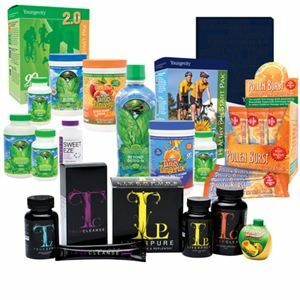 San Diego, CA – May 21, 2014 – Youngevity International, Inc. (OTCQX: YGYI) (www.YGYI.com), a global direct marketer of nutritional and lifestyle products and also a vertically-integrated producer of gourmet coffees for the commercial, retail and direct sales channels, announced today that its wholly owned subsidiary, CLR Roasters, has procured several contracts for two types of coffees, totaling $3.5 million dollars in revenue for its newly launched green coffee distribution division. The coffee is expected to begin shipping immediately from CLR Roasters recently acquired green coffee processing plant located in Nicaragua and continue through mid-July 2014 in 75 container loads of green coffee. Dave Briskie, Youngevity’s CFO and President of Commercial Development said, “Our recent strategic investments in the country of Nicaragua have positioned us as a significant and capable provider in this space. Our partnership with Alain Hernandez, Marisol Siles and the Siles Family Planation Group is beginning on very firm footing. We are proud of the strength of our coffee resources and relationships in Nicaragua and we are expecting a record year for our vertically-integrated coffee operation. CLR Roasters (www.clrroasters.com) was established in 2001 and is a wholly-owned a subsidiary of Youngevity International. CLR Roasters produces coffees under its own boutique brands as well as manufactures a variety of private labels through various tiers of distribution. Industries served include grocery, retail, wholesalers, hospitality, cruise lines, wellness facilities, office coffee service, and convenience store distribution. It also produces a unique line of coffees with health benefits under the JavaFit® brand.